Community Seed was founded in 2001. We are a volunteer based, non-profit, tax-exempt organization. Our mission is to provide the local Santa Cruz Pagan community with opportunities to create closer bonds of perfect love and perfect trust, and understanding with one another, through community service, publications, gatherings, and ritual celebrations. We organize, host, and promote events that enrich and improve our lives, our world, and our community at large in the Santa Cruz region. 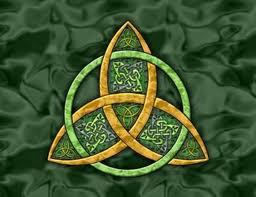 We welcome all to take part in our celebrations; you do not have to identify yourself as a Pagan to participate. Community Seed gatherings include monthly Open Circles, Energy Walks, Beach Cleanups and Hemlock, our monthly crafting night. We hold four public Sabbats each year. We also sponsor Solaris, a four-day campout in the Santa Cruz Mountains. All Community Seed gatherings are “clean and sober” – no drugs or alcohol, please. Most events are open to people of all ages. Check our Ongoing Events page for further information about recurring events, and see the Upcoming Events listing on the home page for up-to-date scheduling. As a volunteer-based, non-profit corporation, Community Seed is governed by a Board of Directors in keeping with governmental guidelines. We hold monthly Board meetings that have been inspired by PeerSpirit Circle guidelines. See our Board of Directors page for bios and photos of our current Board Members. Community Seed is a community – it is not a coven or a membership organization. There’s nothing to sign and there aren’t any dues, but there are many ways to participate. Community Seed events are open to all, and we welcome those who wish to participate or assist. Also, Community Seed is a tax-exempt religious organization, and we welcome your donations. See our Donations page for further information. You can also participate on-line by asking us anything on our Facebook page. You can view photos of Community Seed events in our Multimedia Forum. You can also join our email list to receive a monthly update about upcoming Community Seed events. If you have questions or comments, email us at info@communityseed.org We look forward to meeting you!